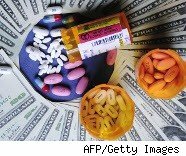 Starting next year, consumers in Vermont will be able to use a computer database to look up how much pharmaceutical companies and manufacturers are paying doctors and health-care workers to push their products. Vermont Attorney General William Sorrell's office spearheaded the unique drug marketing disclosures campaign earlier this month, in hopes of improving patient confidence in the health-care system. Relationships between medical companies and doctors aren't often examined in the public eye, thanks in part to longstanding "trade secrets" protection covering the incentives some doctors receive to prescribe certain drugs. "Requiring the reporting of gifts to doctors or creating databases where people can see what companies are doing with their advertising and marketing budgets in their states may reduce the amount of money that a company spends on marketing in that area," said Karmen Hanson, principal of the Cancer, Tobacco, Prescription Drugs and Insurance Issues Program at the National Conference of State Legislatures. The bottom line for consumers may be cheaper drugs. Drug companies spend billions of dollars on marketing, and factor their costs into drug prices. Lifting the veil may work to bring down prices, and, Hanson said, "these types of laws may also create a 'sunshine effect,' bringing to light for the public what kind of relationships doctors and companies have." Several other states have launched initiatives with similar purposes. California, Maine, Massachusetts, Minnesota, Nevada, Washington, D.C., and West Virginia recently revised statutes affecting spending associated with the marketing of prescription drugs. There's no federal legislation that covers marketing costs associated with drugs or medical devices, but "Vermont adopted its law in advance of the federal changes," said Assistant Attorney General Wendy Morgan, suggesting federal involvement may be on its way. Only six other states are smaller than Vermont, and only two others are home to fewer people. But 85 pharmaceutical manufacturers paid nearly $2.6 million to Vermont doctors, hospitals, universities and others authorized to prescribe and dispense drugs in a one-year period ending last June. That doesn't include advertising on TV, radio or print media -- but does include more than $800,000 in gifts of food, which are banned in the state. One Vermont psychiatrist raked in almost $117,000 in marketing dollars, the largest chunk in 2009, according to the state AG's report. Psychiatrists topped the list as the group that took the lion's share of financial incentives. Others who pocketed $3,000 or more each included internists, neurologists, family doctors, and radiation therapists. Throughout the country, drug makers also sponsor speeches and seminars where doctors are compensated for promoting products, including for off-label uses not approved by the FDA (see related story). At an estimated annual cost of $2.5 billion, pharmaceutical advertising has made drug companies and their brand products household names, according to statistics from the legislatures' organization.